Over the weekend I happened upon a MTV series called, Catfish. It was made into a series after the person that is the Host of the show, Nev Schulman was fooled by an online romance. As funny at times as it was, in the end they were all really sad, heartbreaking stories of people just looking to be accepted. Which I can relate to. For many of these shows the story was the same, good or decent looking guy and girl that was overweight. Some of the guys were really pissed when they finally met. I can certainly understand why they were mad, but the people that they fell in love with were still inside of these overweight women. It always hurts me to see that some people only see the packaging and not the contents. Since I have been overweight to the point of being morbidly obese for a good part of my life, this has garnered me some humility where I can empathize with people very easily. I know how it feels to be left out or talked about, or even bullied a few times during my life. 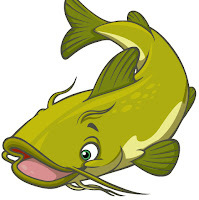 I was even on the side of the "catfish" at one time, way before the term was popular or invented. I do not think that people understand how incredibly sad it is for these girls. In a world where everything in life is hinged upon your looks, weight, education and status, these girls are floundering! (no pun intended) Not all of these girls are as strong willed and defiant as I consider myself to be, not all of them will bounce back with the "FU" attitude that I currently have. Most of them have serious self esteem issues or very deep problems which is why they did what they did in the first place! When I was the catfish, I was going through a very difficult time in my life as I took care of my terminally ill mother. My heart goes out to them. I completely understand why they did what they did. If just for a moment in time to feel the love and a connection with someone that is more than just a friend. Love should conquer all, but it does not. It will usually just chew you up and spit you out. And in this age of computers and non communication communication, you can be anyone you want to be. So these girls choose to be someone they think would be loved. So as much as I found the show to be fascinating, I also found it disheartening. I would watch it again, but I would really love to see some more happy endings and people that can find it in their hearts to accept people for who they are and not who they want them to be.